Customer retention and customer engagement are two key aims of AIA Australia’s Vitality program rewarding a consumer’s healthy lifestyle, according to digital CRM manager, Nathan Cole. AIA Australia is a life insurance specialist with over 40 years’ experience offering insurance products through financial advisers and a valued network of partners, as well as direct to consumers. In 2014, it launched AIA Vitality to Australians as part of their life insurance products, a program that rewards a healthy lifestyle. The health and wellness program provides members with knowledge, tools and motivation to help improve their health. In 2016, when Cole joined AIA Australia, the team began to broaden use of the Marketo marketing automation platform for the Vitality program. "We did this to engage with our customer base where they wanted to interact with us and do this in a more targeted and personalised way,” he told CMO. Like many starting with marketing automation, Cole said the company initially used marketing automation technology mostly for broad brush EDM and newsletter distribution. While email is still an important part of the mix, Cole said AIA has increasingly integrated a range of other channels into the mix using Marketo Mobile Experience, SMS, push notifications and in-app messaging. The company is also using two-way SMS, an add-in from Marketo partner, Hoosh, which allows it to not only send messages, but receive them from customers as well. “We’ve also started experimenting with social engagement through Marketo’s AdBridge using lead forms and audience mapping on Facebook and LinkedIn and Marketo’s Web Personalization module is beginning to help us deliver a tailored experience when they reach our website,” he continued. Cole said most of the engagement for Vitality is done via interactions within the program. Starting from just six automated communications programs two years ago, AIA finished 2017 with 61 micro-targeted initiatives in place. Quarter-over-quarter tracking shows a direct correlation between program growth and engagement rate rises. 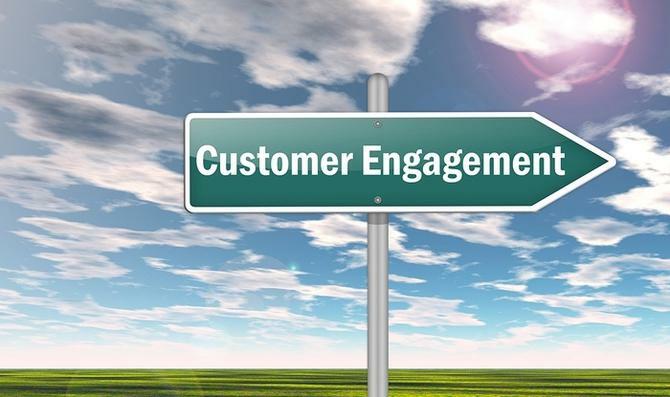 The marketing team's main goals have always been about customer engagement and customer retention. “The results speak for themselves. AIA Australia has one of the highest customer engagement and retention rates across all of the global AIA brands, and is recognised as having a best in class communications program across the organisation," he said. The program was a team effort, and required collaboration across teams in order to ensure maximum value. Cole highlighted working closely with IT and agile delivery teams on a regular basis, ensuring the middleware processes that feed into custom data fields into Marketo are optimised as best as possible. “The success we have seen using Marketo for the Vitality program has allowed me to add two additional team members and given my team greater visibility across the AIA organisation," Cole said. "We are now beginning to be used as a shared service, rolling out the use of Marketo for other products and even operational business tasks. Asked his next steps in terms of utilising the technology, Coles said the short-term priority is collecting data to help understand when and where its members interact with the company. This will further inform micro-segments, and the data collected through segmentation. “In the medium-to long-term, we are in the process of completing an acquisition of one of our competitors in the life insurance space. Once the dust has settled on this big integration project, Marketo and our CRM tool will play a key part in bringing customers into the AIA Australia family," Cole said. In terms of a wider marketing strategy, the insurance group is focusing its energy on finding the ‘sweet spot’ amongst different segments and micro-segments. “It’s about becoming more omni-channel focused and discovering the best way to connect a hugely variable member base," Cole added.